← A new gene therapy approved! 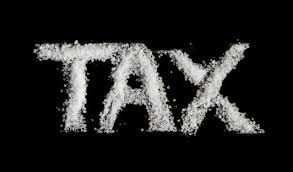 The debate about whether to introduce sugar taxes in NZ has been interesting to see play out. It’s perfect example of trying to make a decision in light of insufficient evidence with potentially large implications on public health. There is evidence to support the hypothesis that introducing some form of tax on high sugar beverages would reduce purchases of these products. There is little evidence to prove that this then leads to a reduction in childhood obesity. This is because data simply does not exist for this type of study – it is difficult to obtain and takes time. Given this, as the Health Minister for NZ, what do you do? You have a think tank reporting that there is no evidence to suggest that a sugar tax would be effective and is a breach of freedom and personal liberty (as well as a lesson on externalities and a very very economical view to health and not the good kind). You have your own advisors telling you that there is no evidence to suggest that it would work. But other countries have already introduced a tax, including the UK, who has done their own in-depth analysis. You have the nations foremost scientists on nutrition and health writing to you pleading for you to initiate a tax as it has more evidence to support it than the 22 other ideas your team has come up with. If the target is to reduce consumption of sugar-sweetened beverages by 20% (~double what Mexico has reported to date (results not looking to bright more recently)), then this translates into a reduction of total dietary energy intake from sugar, from 15% to 13.8%. Will this impact obesity. Is this significant enough??? On it’s own, no. But that is why it is only one of a suite of recommendations (all which have the same limitations regarding supporting evidence of efficacy). It comes down to whether you wait for more information to make a more informed decision (unsure who long this will take and whether the data will be adequate) or implement it the domestic market and see how it goes. Despite being someone who values having data to make decisions, I personally would like to see it implemented, along with the other initiatives (which should be garnishing more attention than a sugar tax). Let’s get our own data. If it’s not working, do something different. This entry was posted in Food & Beverage, General and tagged health, New Zealand, Sugar. Bookmark the permalink.